Are you old enough to remember Mood Rings? For those who aren’t they were rings with a kind of liquid crystal that changed their color depending on the wearer’s temperature; they were also marketed to change their color depending on your mood. A new study published in the journal Biology Letters shows that chameleons actually do the real thing, that is, they change their color not just for camouflage, but to reflect their mood, status, even objectives. 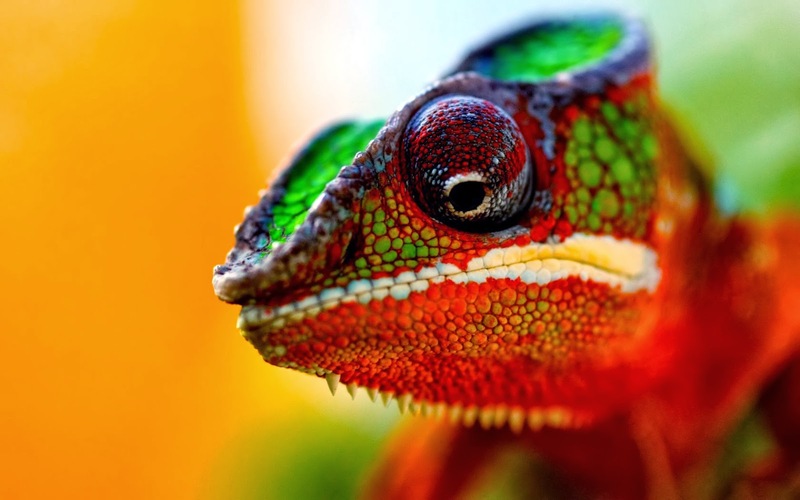 According to Russell Ligon, lead author of the study from Arizona State University’s School of Life Sciences, the ability of a chameleon to change its color is controlled by the reptile’s hormonal and nervous system, with other factors such as light and temperature also coming into play. While many animals boast of unique colorations, such as colorful plumage, these are fairly static, having different colors that stay the same shade. 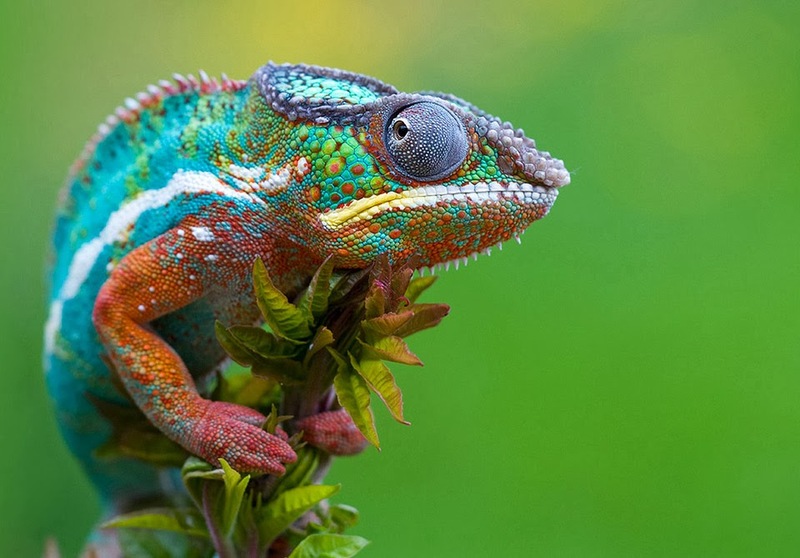 Chameleons however, never have a dull moment, changing colors seemingly whenever they please. Ligon explains that chameleons likely evolved to develop the ability to make rapid and dramatic changes to their color due to the need to communicate with other chameleons while living in their natural habitats: up in the trees. To communicate, other animals tend to make unique behavioral displays, something chameleons have a hard time doing up in the treetops. 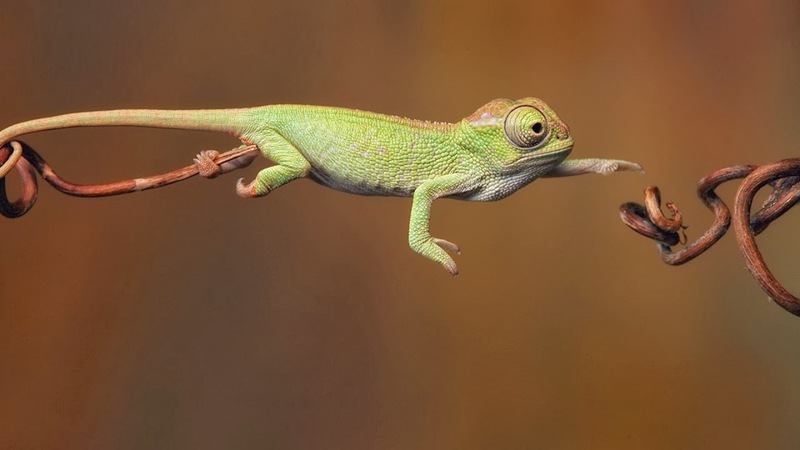 Chameleons change their color during confrontations with other chameleons, as Ligon found when observing males. However, they also happen during mating rituals, with both male and female chameleons change their colors dark shades to bright green, blue, and yellow hues throughout the mating process.